 How to create a good and effective penetration testing report? Why is a penetration test report so important? Penetration test or pentest is a typical security assessment which is the process to gain access to specific information assets (eq. computer systems, network infrastructure, or application). Penetration test simulates the attack performed internally or externally by the attackers which has the intention to find security weaknesses or vulnerabilities and validate the potential impacts and risks should those vulnerabilities being exploited. Security issues found through penetration test are presented to the system’s owner, data owner or risk owner. Effective penetration test will support this information with accurate assessment of the potential impacts to the organization and range of technical and procedural safeguards should be planned and executed to mitigate risks. Many penetration testers are in fact very good in technical since they have skills needed to perform all of the tests, but they are lack of report writing methodology and approach which create a very big gap in penetration testing cycle. A penetration test is useless without something tangible to give to a client or senior management. Report writing is a crucial part for any service providers (eq. IT service/advisory). A report should detail the outcome of the test and, if you are making recommendations, document the recommendations to secure any high-risk systems. The target audience of a penetration testing report will vary, technical report will be read by IT or any responsible information security people while executive summary will definitely be read by the senior management. Writing an effective penetration testing report is an art that needs to be learned and to make sure that the report will deliver the right information to the targeted audience. Understand on how to create a good and effective penetration testing report. Understand the mechanism to provide an effective deliverables. Apply risk management knowledge & skills and blend them in your deliverables. WITH THIS COURSE, YOU GET A BONUS OF ALL MATERIALS IN ONE PDF, ALONG WITH SAMPLE REPORTS! More than 20 years working experience in the IT industry with experiences in the area of Application and Software Development (Database and Management). This course is good. The first part of the course is focused on developing technical writing skills. The remaining portions of the course focuses on how penetration reports should be formatted and styled. This is a very well written module, I recently had to write a report for a client and while i did a lot of the things mentioned here, it is good to have it all in one place. I had to search the internet for these things and write my report. I like the tips, the samples and the flow. Fix the first module formatting and you will have a A+ course. I found this subject extremely useful, as someone who writes a lot of these reports and has done so for a long time now, its important to refresh and the author really put the subject across well. I will be taking a few bits from this to improve our reports. Thank you! This is the most dreaded part and the least I like within the over all cycle. Nice formatting and structure tips!